I'm baaaack! 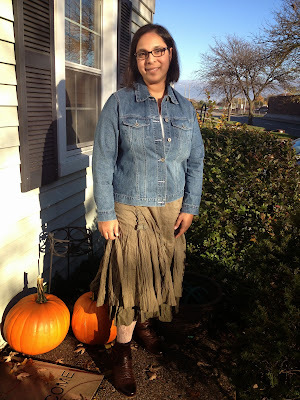 It's been a long while since I've participated in the What I Wore Sunday linkup over at Fine Linen & Purple. Now that autumn is in full swing, I feel fashionably refreshed...at least this weekend. While the "fall back" didn't work for the littles, I somehow did feel like I was more rested, even being up several times. Go figure. I guess that sunlight helps at 7 o'clock in the old a of m. I heart autumn! Oh, and God hearts you. A lot. Unceasingly and without bounds or question or restriction. He does. That was the priest's message at Mass this morning. Despite our sin, despite our conditional love, God loves us without end. Romans 8:38-39 came to mind as he was speaking, and sure enough, that was the verse he used at the end of the homily. As we approach Advent in this season of thanks, I am so thankful that God loves me in spite of me. He loves me because He created me, knowing full well my faults and failing better than I do, and loving me through them, drawing me back to Himself over and over and over. In proclaiming the first reading from Wisdom today, I was moved again and again as God reminded us just how persistent and gentle He is, and just how much He loves us. Now that you know how much God loves you, here's what I wore today. There you have it. That's what I wore! Happy Sunday - hope it is filled with many blessings for which to be thankful! I love those tights and boots! And, great message about God's unconditional love! wow, I am glad you took the close--up of the tights. I would never have guessed from the first picture that they were all lacy. Cute! 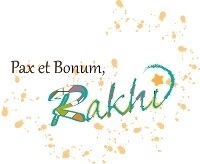 So cute, Rakhi! 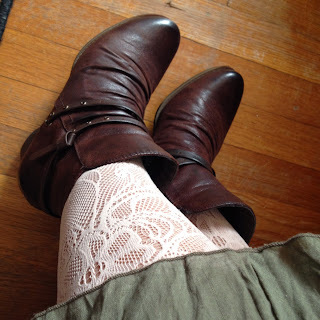 I LOVE the lace tights and boots! Very nice! I love the tights. You look so cute! Seriously. I almost did a WIWS on the ol blog this week. But, just to talk about how terrible my children were. I might still do it! Lol, we kicked off mass with dropping the baby carrier off a pew at Old St. Mary's in Detroit (true story, he was strapped in thank God), continued with a relay of taking our children out to be scolded, than brought back in, and then left communion!